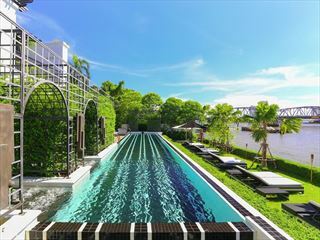 A wonderful location on the western river bank within fairly easy reach of Silom and Lumphini Park. 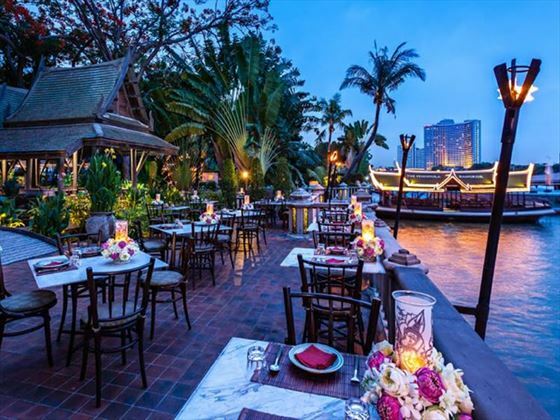 The complimentary ferry drops you at the Skytrain or at the ferry pier - Grand Palace and Wat Arun Temple can be reached by ferry within 20-minutes. 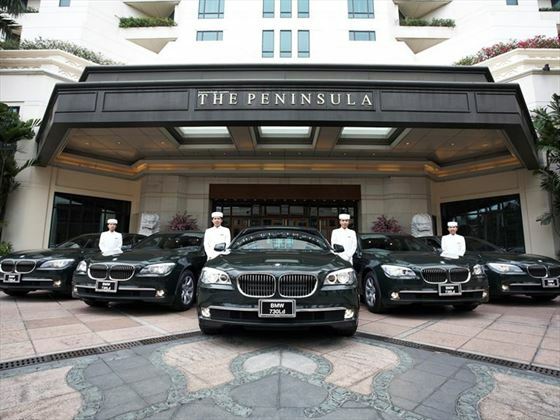 The hotel is around 50 minutes from Bangkok international airport by car transfer. Sophisticated in-room entertainment system with a TV with CD and DVD plus a sound system and a dock that connects your iPad or Smartphone enabling content streaming to the TV. Fully stocked mini-bar and daily fruit basket. Superior Rooms - Are on the lower floors (4-9) and have King or Twin Beds sleeping maximum 3 people. 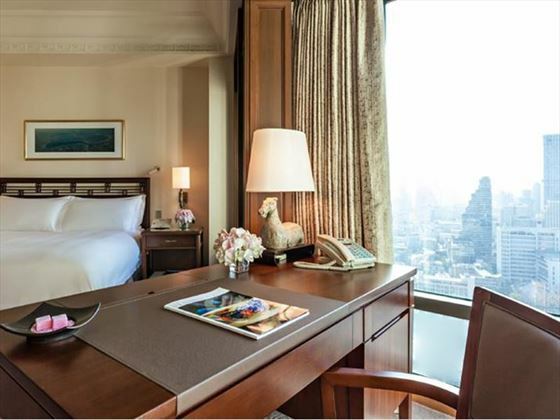 Deluxe Rooms –are found on floors 4 through to 23 with more direct river views. 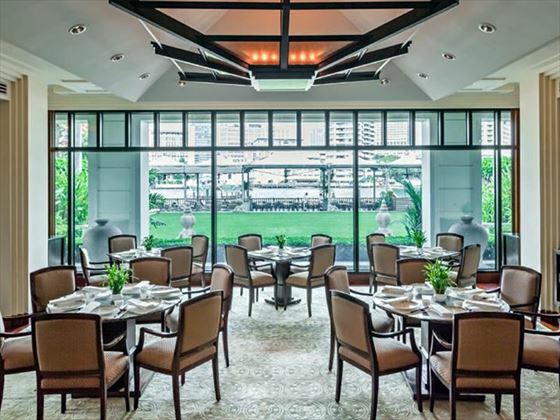 Grand Balcony Rooms – are on floors 4 to 35 and enjoy a furnished balcony to contemplate the city skyline and exotic river traffic at your leisure. (King or Twin beds sleeping 2 people). 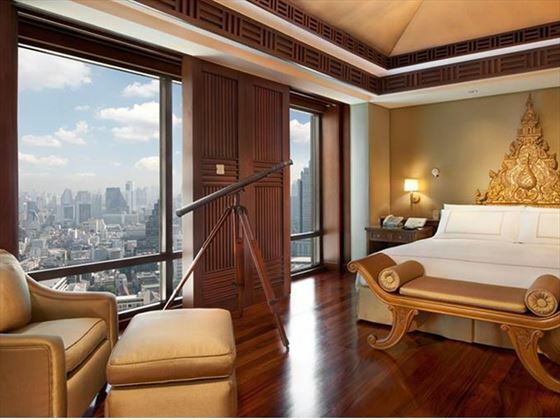 Grand Deluxe Rooms – are guaranteed on floors 24-35 for the most breathtaking views. 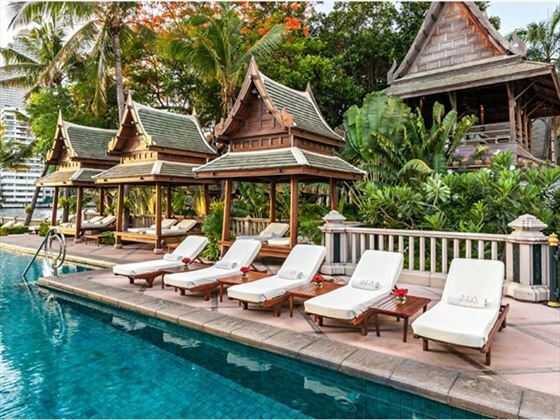 Suites – various suites are available sleeping up to 4 with spacious living areas; our favourites are the Traditional Thai suite and the Terrace suite with its own outdoor whirlpool. 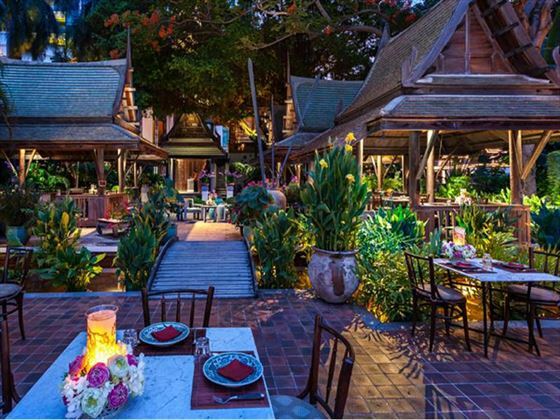 Tipthara - Highly recommended for at least one dinner is this attractive al fresco Thai dining experience, with its Pad Thai often hailed as the best in the city. 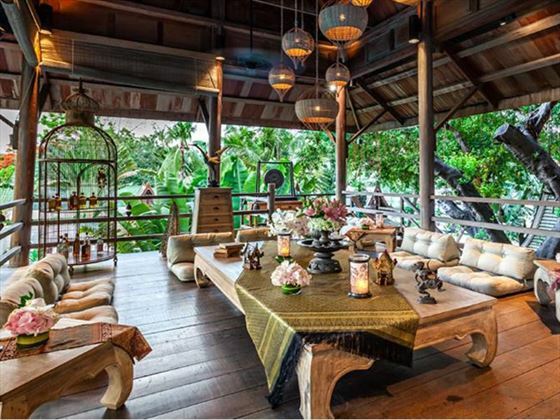 Set in beautifully landscaped terraces over the river, shelter is provided from authentic antique salas. 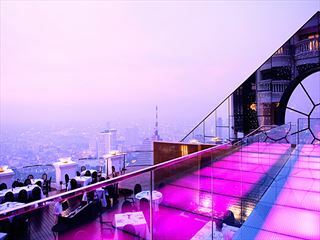 Pre or post dinner cocktails are enjoyed in an elevated Sala bar with tropical breezes included. 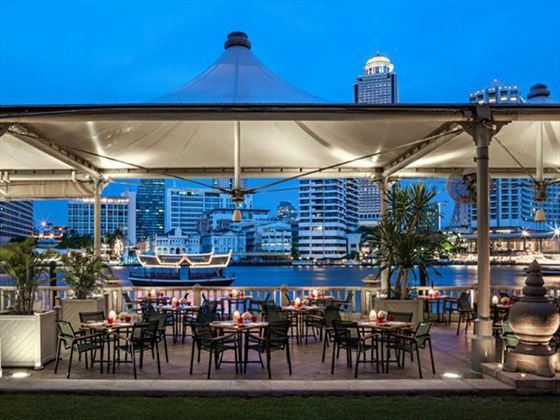 River Cafe and Terrace – an international buffet restaurant with indoor and outdoor seating offers a fabulous breakfast (also open for lunch and dinner) with an adjacent bar for afternoon and evening drinks. 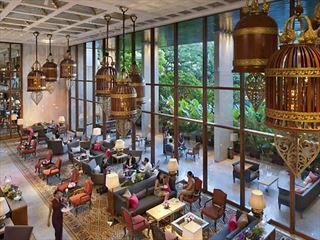 The Lobby –A bar and a la carte menu with a famous afternoon tea. 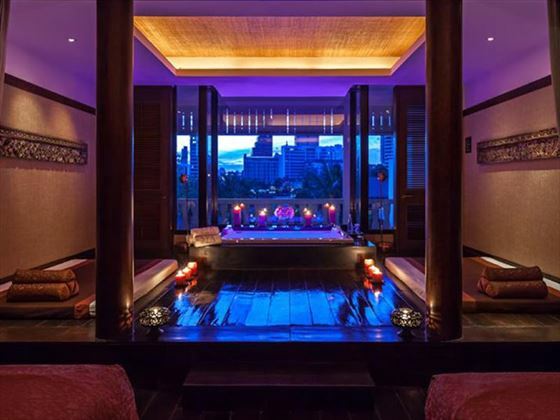 The Spa is an essential element of Peninsula life with stunning oriental styling and treatment suites overlooking the river – the speciality is the Royal Thai massage. The fitness centre is well equipped for any workout and every Wednesday and Saturday you can enjoy complimentary sunrise yoga overlooking the river.